For a limited time and while supplies last, buy a LeapFrog LeapPad Ultra learning tablet and receive LeapFrog Headphones and an LeapPad Ultra Gel skin and a $30 gift card for free. Select an Ultra Tablet, LeapFrog Headphones and Ultra Gel Skin and add them to your cart. Discount will be applied at Checkout from Amazon here! Then add the free $30 gift card from Amazon here! 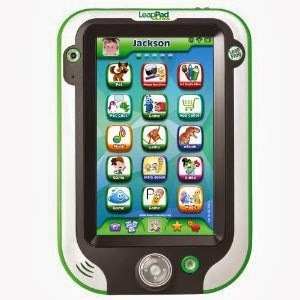 PLUS grab a LeapFrog App Center Download Card (works with all LeapPad Tablets, LeapsterGS, Leapster Explorer and LeapReader) for just $12.99 (35% off).